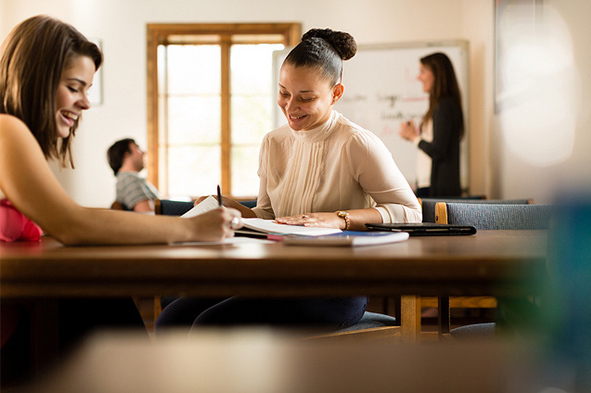 Many of Rollins' classes take place around a long, round table where students and professors are encouraged to engage in lively discussions. These discussions are at the heart of your Rollins education. From books to computers, everything you need is at the Olin Library. Buy your textbooks and Rollins gear at the Rollins College Bookstore.